Right now, until 5/31, you can get $1.50 off when you purchase two participating McCain products. This offer is good until 5/31. Check out more information about this offer Here. I have spent most of my life surrounded by boys. People can’t believe it when I tell them that I grew up with only brothers, no sisters. And that I have only sons and no daughters. 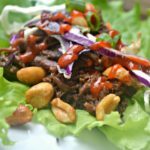 Although I never had anyone to play dolls with growing up, and I miss out on all that hair braiding as an adult, there are many benefits to being the only girl. My mom has always been my best friend, and I have had no competition in this realm. I have never understood ” girl grudges,” and although I sometimes had a hard time navigating ” girl relationships” when I was younger, I love being no-nonsense when it comes to my friendships. Because boys have always surrounded me, I know a lot about video games, sarcasm and watching sports. Playing sports and watching more sports. My brothers, my husband, and my sons all love watching sports, talking about sports, and playing sports. And although I love hanging out with them when these said sports competitions are on television, I am typically in it for the snacks. 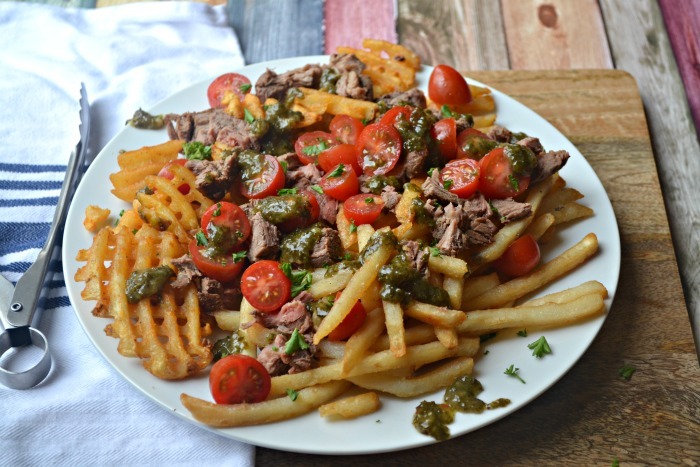 And that is where these Chimichurri steak loaded fries come in. 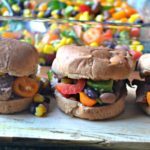 I created this game day spread using McCain® Potatoes! 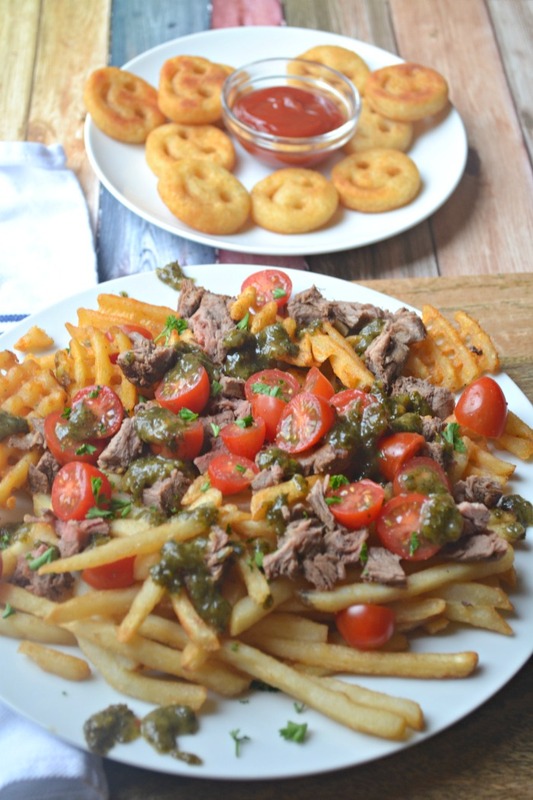 I used McCain® Craft Beer Battered Thin Cut Fries, and McCain® Seasoned Waffle Fries for these Chimichurri Loaded Steak Fries, and I also made some McCain® Smiles® Mashed Potato Shapes for my sons. 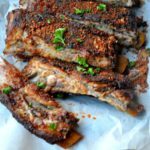 This game day snack was flavorful, filling and is an excellent accompaniment to any game-watching afternoon. I picked up these McCain Potato products at Walmart! 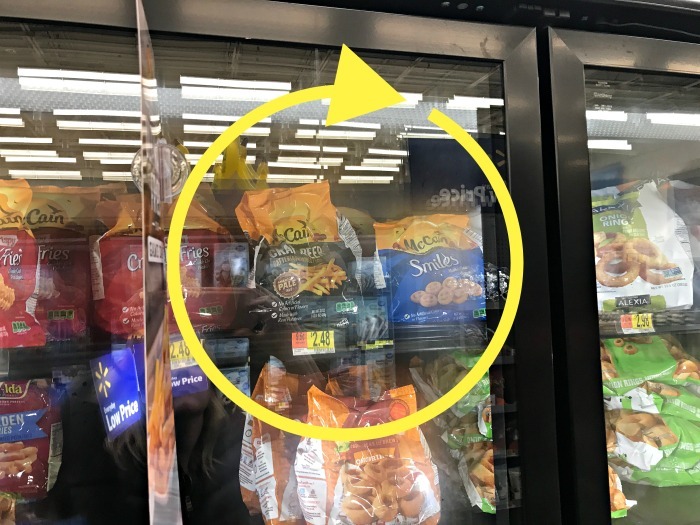 I found them in the aisle with all of the frozen potato products. I love that McCain Potatoes are made with real potatoes! 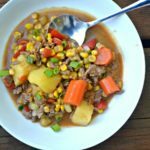 They are so versatile and can be paired with lots of different flavors! 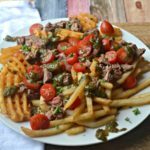 I made these Chimichurri Loaded Steak Fries the way my husband Greg and I would prefer. 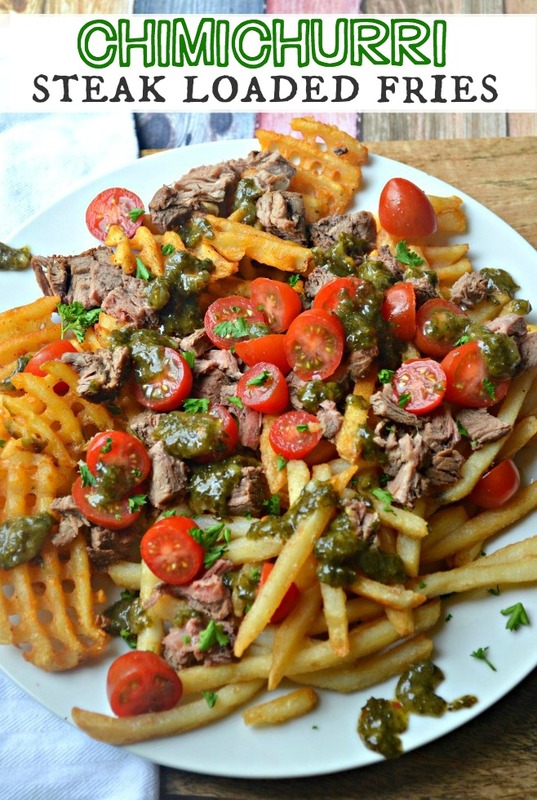 I used McCain® Seasoned Waffle Fries because my husband likes his fries with a little kick. And I added some McCain® Craft Beer Battered Thin Cut Fries for me because I love my fries thin and crispy! McCain Foods is a multi-national company that was started in Canada and is the world’s largest manufacturer of frozen potato products. 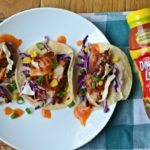 McCain is a household name in the UK, and are trying to establish themselves in the U.S as well. These loaded fries were delicious! 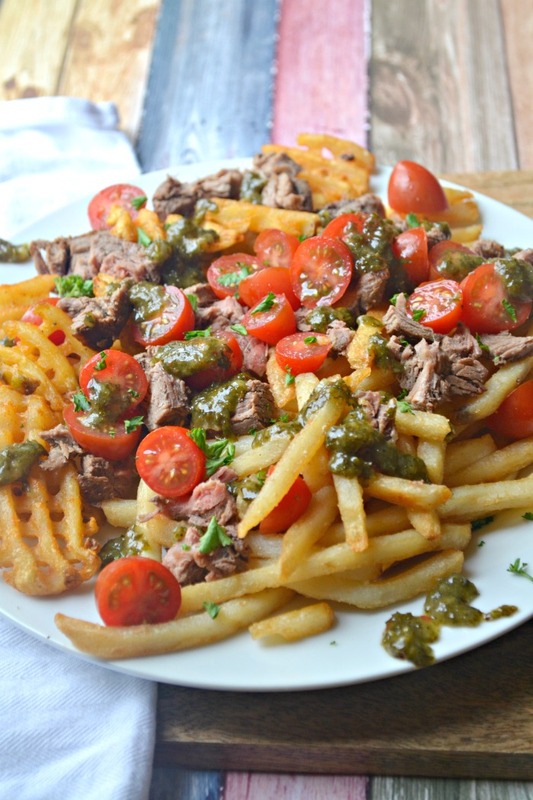 Chimichurri sauce that originated in Argentina and Uruguay. 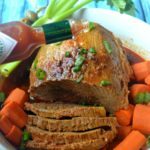 It is traditionally a sauce that pairs well with meat, and I love the way that it tastes with beef! 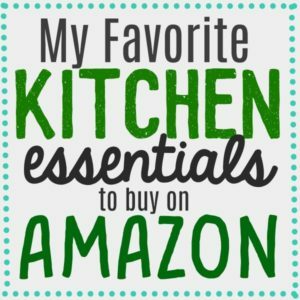 I love making my own Chimichurri sauce, but I also really like the Great Value Chimichurri sauce at Walmart. 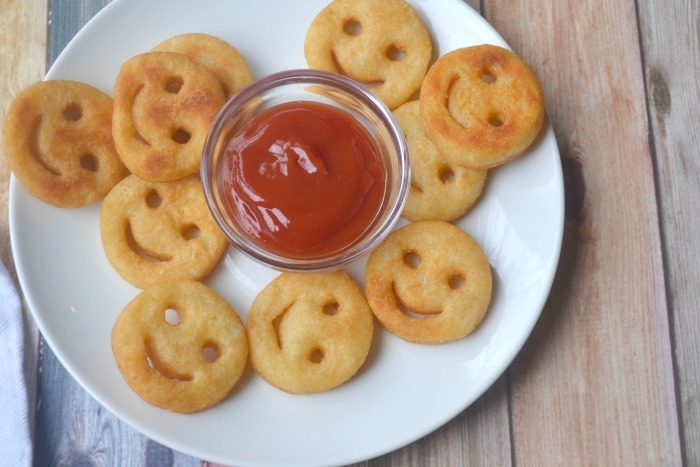 preheat the oven and cook the McCain® Potatoes according to the instructions on the package. Cook your steak medium on a griddle. Until it reaches a temperature between 125 and 130 degrees f.
McCain Potato products were delicious! 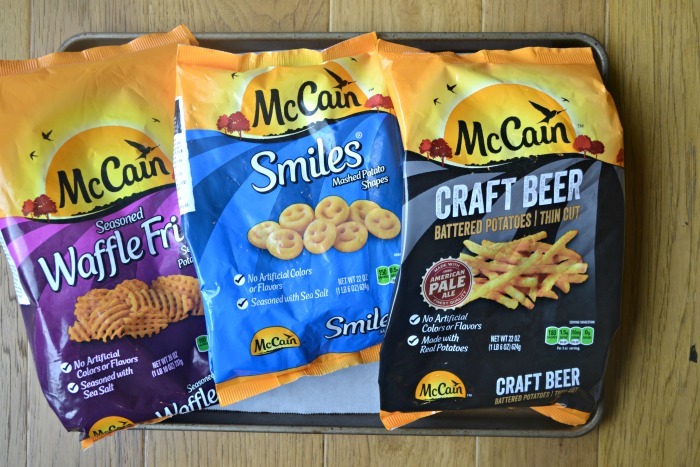 My kids loved the McCain® Smiles® Mashed Potato Shapes, and I really, really love the Craft Beer Battered Thin Cut Fries. Don’t forget to claim your $1.50 back when you buy two McCain potato products! You can claim the offer Here.